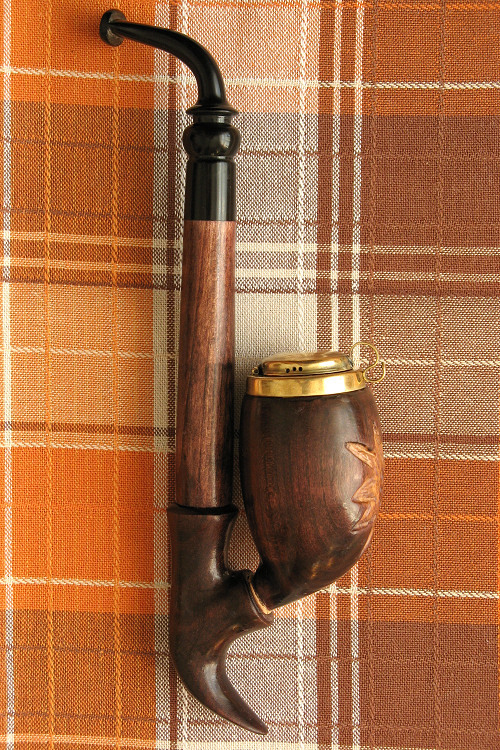 Traditional shape of hanging pipe. 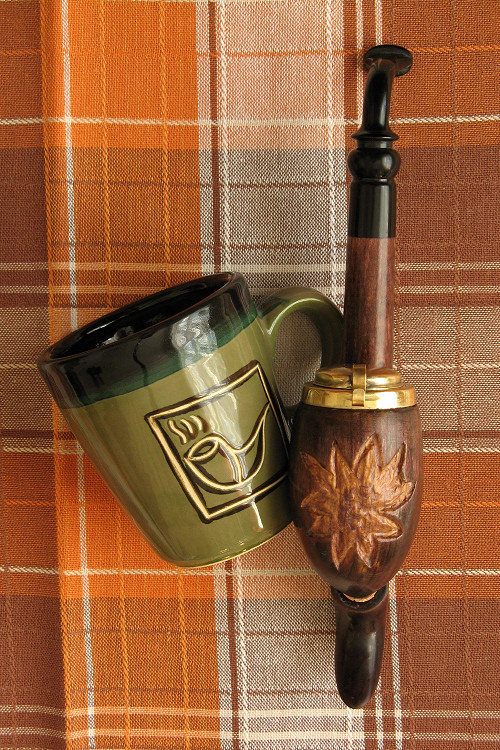 Bowl is decorated by woodcarving. On the top is brass wind cap. 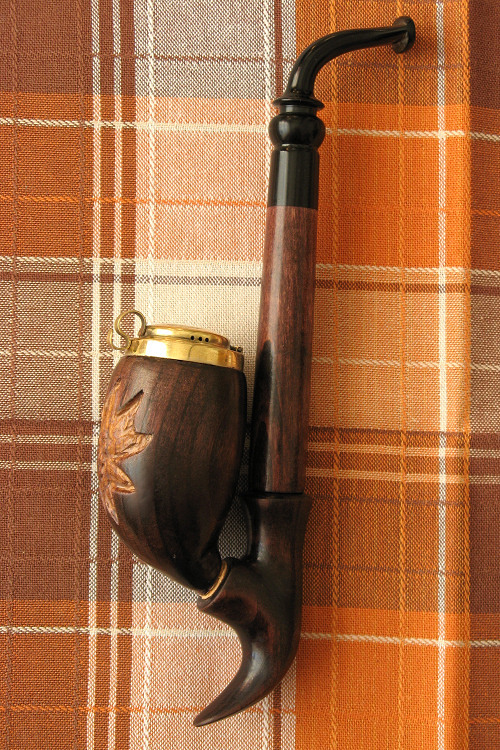 The pipe is equipped with teflone 9mm cone. 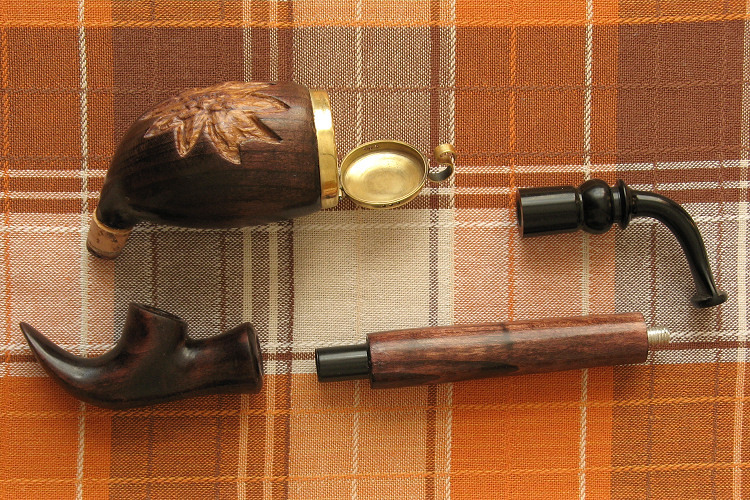 Length: 213 mm; bowl diameter: 40mm; chamber: 20 x 56 mm.